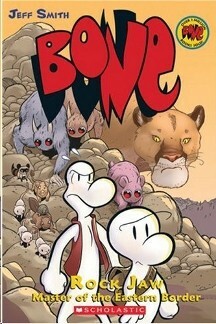 i like this book because it is serious and fone bone had to fight for the good side. My favorite character is Fone Bone because he is brave and funny. I would recommend this book to kids that like comic books and picture books.